It’s a beautiful, early Saturday morning. 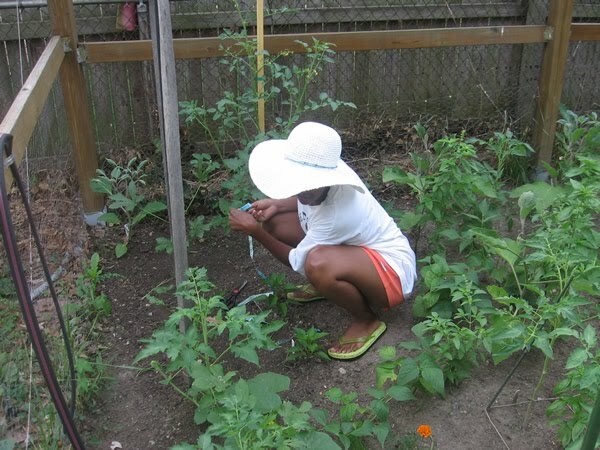 Join me as I harvest some okra, won’t you? I have never grown okra before, so when a friend asked me how to harvest it, I had to do some research. I’m glad that I did. Okra grows very quickly. In fact, it grows so quickly that its pods are ready to harvest only four to five days after you see the initial flower. 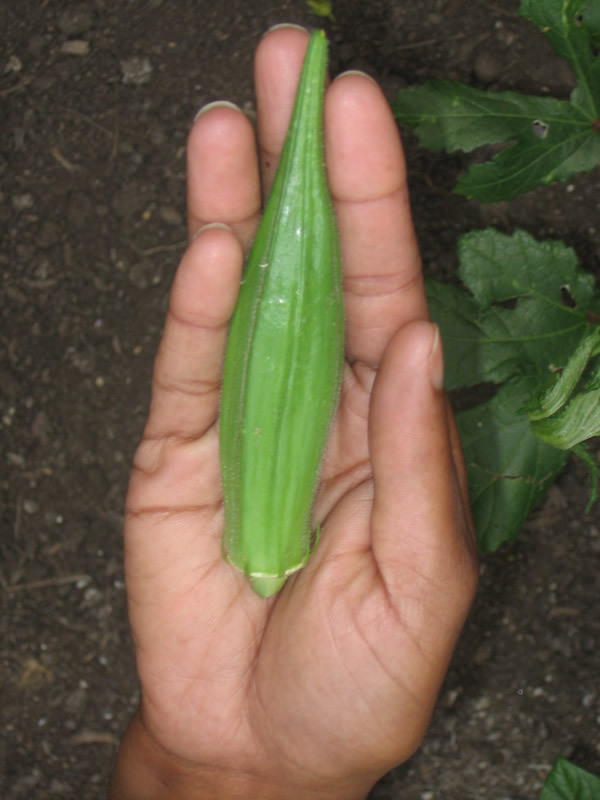 Okra needs to be harvested when it is four to five inches long. If you let it get any longer than that it becomes tough, woody and pretty much inedible. So here we go with step by step instructions. 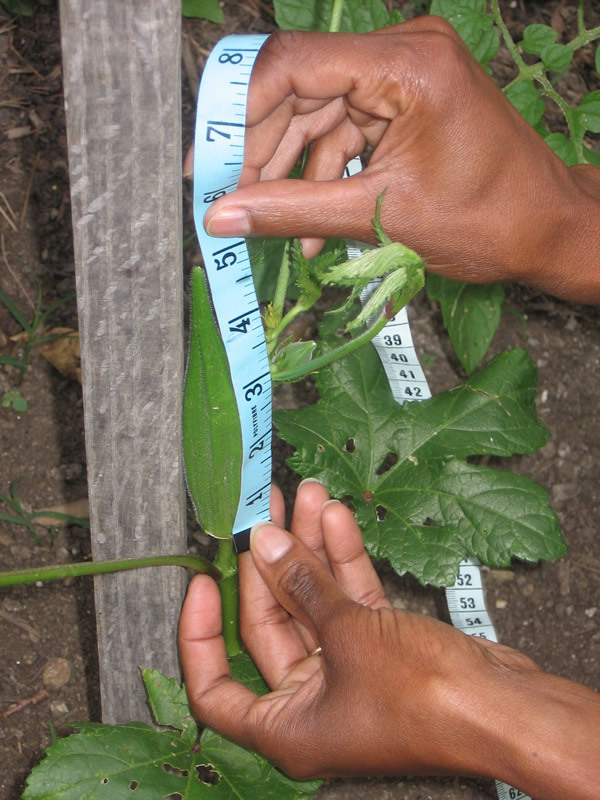 First, measure the okra to be sure that it’s at least four to five inches long. If you feel comfortable eyeballing it, be my guest, but I am no good at estimating. :o) This okra was exactly five inches from the base of the pod to the tip. 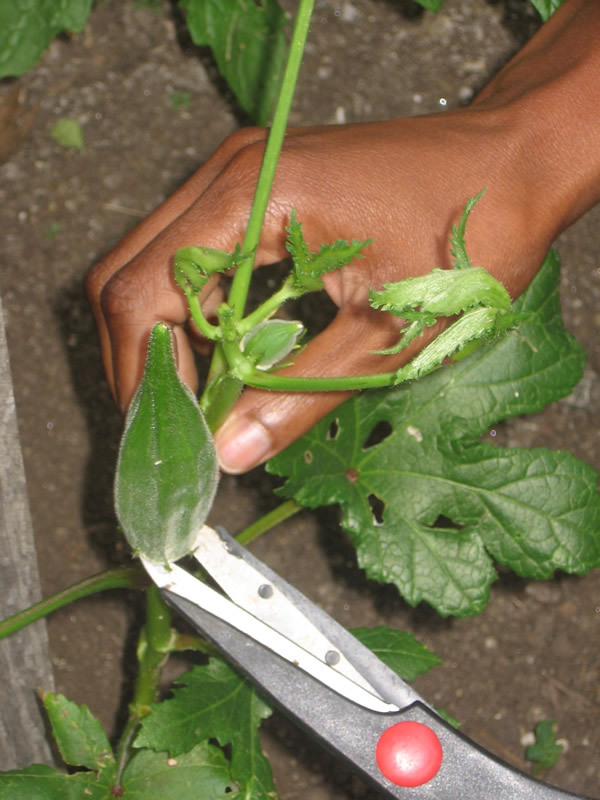 Using a sharp pair of garden shears, cut the okra from the stem about 1/4 of an inch below the pod base. Do not try to snap or break the okra from the stem. This can damage the main stem of the plant. That’s it! Easy, right? 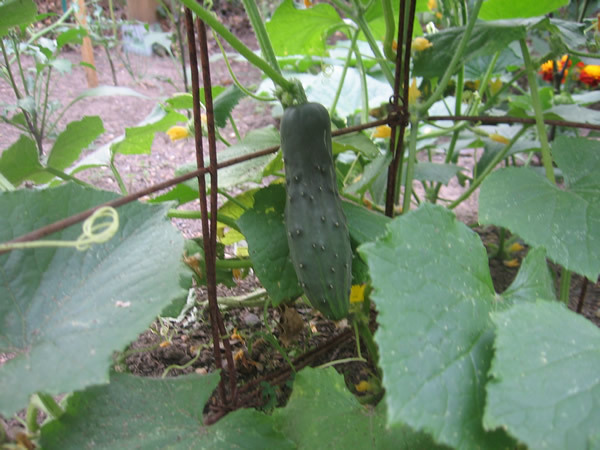 And remember to get in the habit of harvesting your okra regularly. Harvesting the okra actually stimulates the plant into producing more pods.